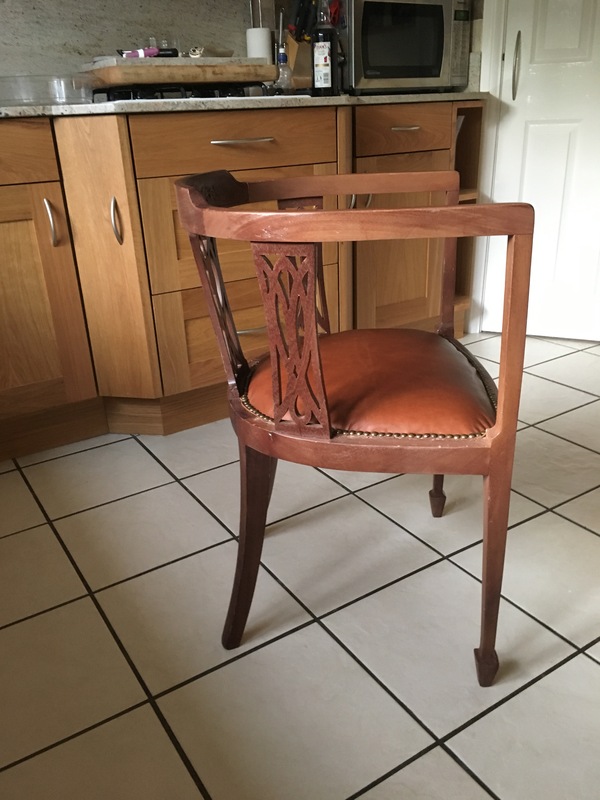 This chair spent some 30 years in my father’s shop. It was painted and repainted white with a worn pink velour seat cover. It had no market value just a sentimental one. I decided to give it a new lease of life. 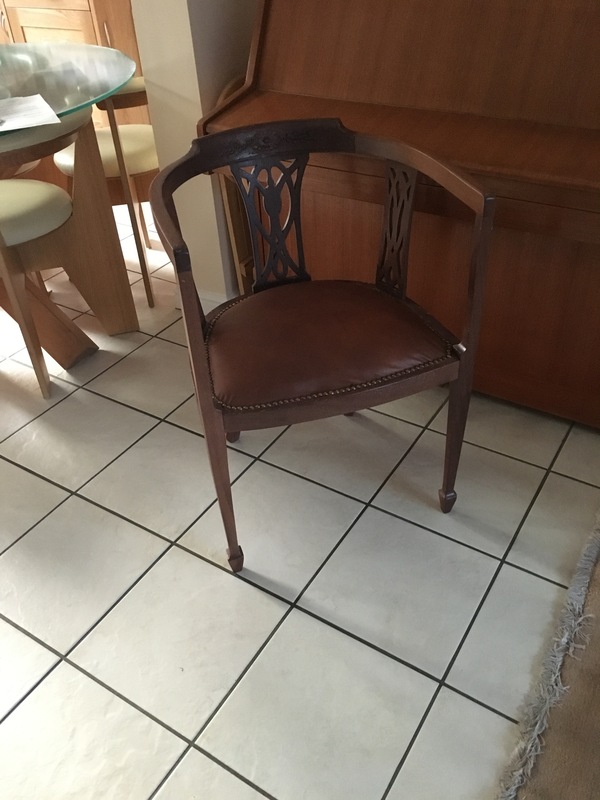 Removed the faded seat and leather straps that must have been stapled and re-stapled to the wooden base. Not perfect but learnt a lot. 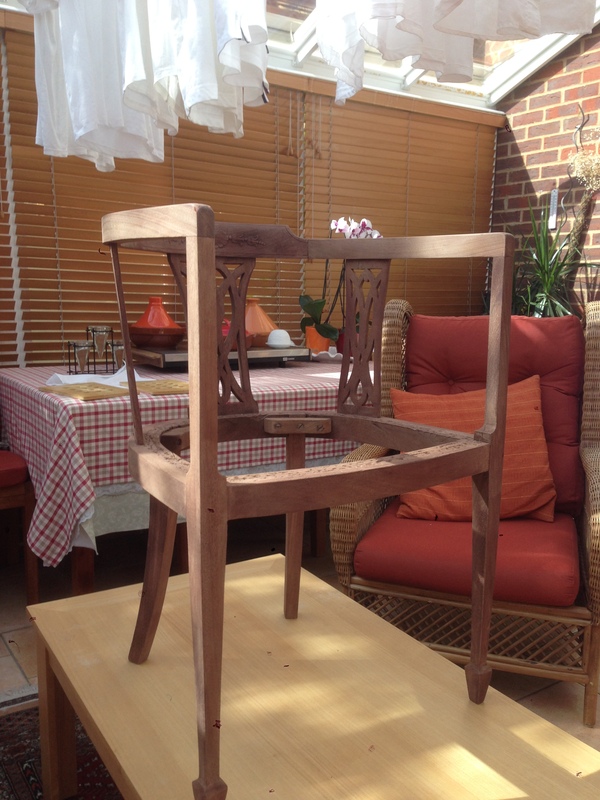 Will have another go at the leather work next year. 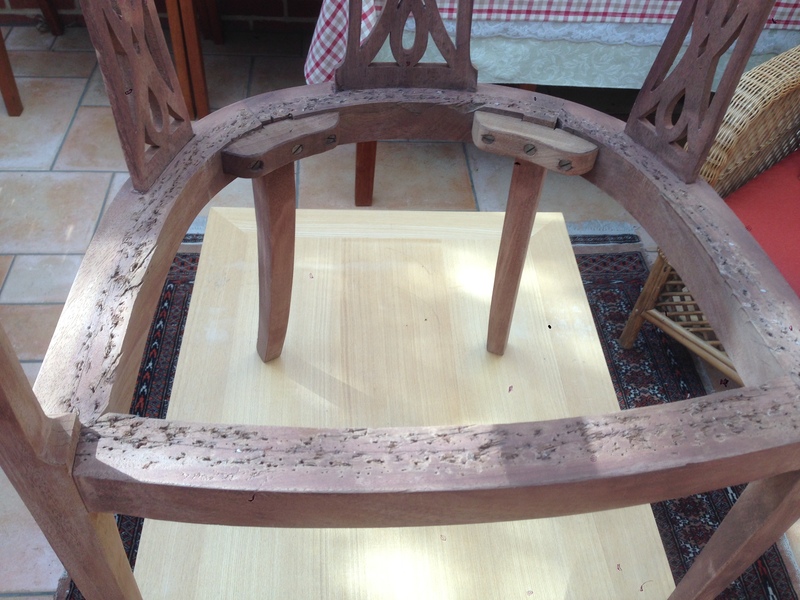 This entry was posted in Restoring and rebuilding furniture, Screw and glue. Bookmark the permalink.